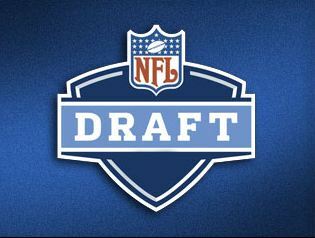 Now that the date has passed for juniors to declare for the 2013 NFL draft, I thought I would post an article about the top 10 juniors available this year. Only a handful of the top juniors decided to go back to school, so this year’s junior class should be a good one. One thing you will notice, the draft is top heavy with defensive talent, especially from the junior class. 1. Jarvis Jones-OLB-Georgia (6-2 242 lbs. ): Jarvis Jones may be the most dynamic player available for the draft this year. He has been a first team All-American the last two years. Jones led the country with 14 ½ sacks, 24 ½ tackles for loss and 7 forced fumbles. He is a disruptive player that makes plays all over the field and at times seems unblockable. Jones is the type of player that the offense has to know exactly where he is lined up on every play. He is a natural pass rusher with speed off the edge and has a very quick first step. He uses his hands well to keep blockers off of him and he has good body control and change of direction. Alabama did exploit one weakness when they ran straight at him, but other than that, he’s a top notch defender. Some people have even mentioned him as the top overall pick in the draft, but I can’t see Kansas City passing on a quarterback, even though it’s not a strong class for quarterbacks. 2. Luke Joeckel-OT-Texas A&M (6-6 306 lbs. ): Luke Joeckel has 3 years of experience as a left tackle. He has the size and movement skills that NFL teams look for. Joeckel was named honorable mention All-Big 12 as a freshman and first-team All-Big12 the last two years. He was also selected first-team All-American this year. He has good awareness and picks up blitzes well. He may need to put on a few pounds to play at the next level, but he is the most solid left tackle in this draft class. 3. Barkevious Mingo-DE-LSU (6-5 240 lbs. ): Barkevious Mingo is a defensive end with great pass rush skills. Mingo has a tall, lean frame that could add some bulk without affecting his speed. He has an explosive first step and has the size, speed and athleticism to convert to outside linebacker in a 3-4 system. He has quick hands and long arms that he uses to shed blockers. 4. Damontre Moore-DE/OLB-Texas A&M (6-4 248 lbs. ): Damontre Moore is a versatile player that has started as an outside linebacker and as a defensive end. Moore was a first-team All-SEC selection and second-team All-American. He has long arms and good straight-line speed. He is a long strider, but also has the quick feet to change direction. Moore plays through pain and has never missed a game due to injury. He has good initial burst, but it’s not elite. Moore uses good leverage and shows the ability to dip and bend to get past a pass blocker. 5. Bjoern Werner-DE-Florida State (6-4 255 lbs. ): This is obviously a good draft for pass rushers. Werner is an interesting player. He is from Germany and only played two years of high school football before signing with Florida State. His coaches say he is still learning and getting better with each and every game. He was a first-team All-American in 2012. He has tremendous upside. Werner is a strong, powerful player that can shed blockers and has a great motor. He is relentless in his pursuit of the quarterback. Werner could possibly play outside linebacker, but his best fit is likely as a 4-3 defensive end. 6. Johnathan Hankins-DT-Ohio State (6-3 335 lbs. ): Hankins is probably the best of the space eating defensive tackles. He would be a good fit as a 3-4 nose tackle. He was a first-team All-American selection in 2012. Hankins is powerful with surprising agility and athleticism. He is better against the run than against the pass, but he has an above average motor and has the ability to beat double teams. Hankins has good feet and is able to slide down the line of scrimmage and make plays on the outside of the tackle box. 7. Alec Ogletree-ILB-Georgia (6-3 237 lbs. ): Ogletree is probably the second best inside linebacker in this draft, behind Manti Te’o. He is a former safety and has very good speed for a linebacker. He can run like a deer, has good hands and is extremely athletic. Ogletree is so athletic that Georgia targeted him when attempting onside kicks and he returned a blocked kick for a touchdown in the SEC Championship. He is dominating in run support and led his team with 111 tackles in 2012. Ogletree has the ability to meet the ball carrier in the hole and stuff him, but also has the speed to purse the ball to the sideline. With his speed he might also be able to play on the outside, but he is probably a better fit inside. 8. Sam Montgomery-DE-LSU (6-4 245 lbs. ): Montgomery was part of a dominating pair of bookend defensive ends for LSU. He was first-team All-SEC and led his team with 8 sacks and was second on the team with 13 tackles for loss. He is a strong, powerful player that plays with good leverage. He has a great motor and good balance. Montgomery has good flexibility and is able to dip his shoulder inside to turn the corner when rushing the passer. He is an emotional player that plays with a chip on his shoulder. He projects as 4-3 defensive end that probably is not a candidate to convert to linebacker. Montgomery has also had experience in sliding inside, but his body type is not made for that on a regular basis. 9. Justin Hunter-WR-Tennessee (6-4, 205 lbs. ): Justin Hunter has a similar body type to A.J. Green of the Bengals, good height with long limbs and a lean frame. He has very good hand-eye coordination and big play ability. He has soft hands and tends to pluck the ball very easily from the air. Hunter is a fluid runner with good top-end speed and can stop and start quickly. He has enough wiggle to make defenders miss in space after he makes the catch. 10. Dee Milliner-CB-Alabama (6-1, 197 lbs. ): Dee Milliner is another in the long line of Alabama defensive backs drafted in the first round. He was a first-team All-American in 2012. Milliner only had 2 interceptions, but that was due to teams staying away from him in large part. He has the size and ability to be a shutdown corner at the next level. Milliner has experience in big games and does a good job recognizing routes and anticipating breaks. When he is in his backpedal, he does a good job of reading the quarterback and receive and he knows when to turn and locate the ball. He is a versatile defensive back that can play outside or in the slot which increases his value. This entry was posted on January 17, 2013 by draftmaniacs in Uncategorized and tagged 2013 NFL Draft, NFL Draft.